The flowers are blooming, the lawnmowers are booming and the opening days for local farm markets are looming. All across southeast Michigan, farmers are in all-out planning mode to deliver fresh produce to health-conscious consumers from South Lyon to Westland. Here is a list of local farm markets, most of which will open this coming weekend, if they haven't propped up their stands already. The Canton Farmers Market will kick off the season from 9 a,m, to 1 p.m. Sunday, May 13, at Preservation Park, 500 N. Ridge Rd. This open-air-market features a variety of Michigan grown and made food, as well as hand-crafted items. The market will be held each Sunday through Oct. 14, rain or shine. New this year: Market-goers can enjoy special themed-markets, including May 13 (Mother's Day), when moms will receive a free flower, while supplies last; May 20, Street Art/Artist Day; May 27, honoring veterans; and June 3, National Egg Day. The Milford Farmers Market will be open each Thursday beginning this week (May 10) until Oct. 11 at East Liberty Street, between South Main and Union. The market will be open 3-7 p.m. in May, September and October and 3-8 p.m. in June, July and August. The market is committed to showcasing local farmers, producers and artisans. Only produce grown or made by vendors in Michigan will be considered for market. It is also committed to providing a variety of vendors in order to create an interesting and consumer-friendly market. The market will sell reusable shopping bags, advertise in local media and create many banners, signs and fliers to be posted throughout the community. Additionally, the market will hold children’s activities, cooking demos and special events. Invitations are extended to nonprofit organizations to promote the commitment to building community through the organization’s work. Beginning May 3, the Northville Farmers Market is open from 8 a.m. to 3 p.m. each Thursday through Oct. 25 at the northwest corner of Seven Mile and Sheldon roads. Overflow parking is located at the Northville Downs race track, directly across the street from the market. If interested in becoming a vendor, go to the market's website, where an application, rules and regulations are listed. Solicitation is not allowed at the market. To participate in the market, contact the Northville Chamber of Commerce to learn more about sponsorship opportunities. Opening day for the Westland Farmers and Artisans Market is set for 3-7 p.m. Thursday, May 17, at 1901 N. Carlson, south of Ford Road (south of the H20 Zone). Vendors for 2018 are still being accepted. To apply, go to the market's website and send the application to westlandchamber@yahoo.com. The Livonia Farmers Market at the Wilson Barn will open from 8 a.m. to 2 p.m. Saturday, June 16, and be open each Saturday through the second week of October. The market is located at 29350 West Chicago and receives produce from farmers throughout southeast Michigan. 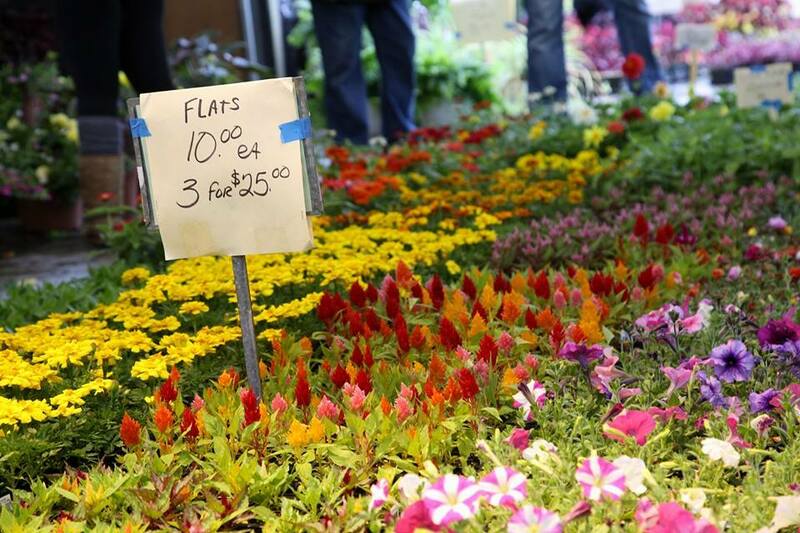 Beginning May 19, the Farmington Farmers Market will be open from 9 a.m. to 2 p.m. each Saturday through Oct. 27 at Walter E. Sundquist Pavilion in the George F. Riley Park, located at Grand River Avenue at Grove Street. The market will be observing its 25th year of operation this season. Opening-day guests include the Farmington Beautification Committee, Larry Arbour and Swing Farmington, chef Zachariah Peterlin and the Little Sprouts, sponsored by Mayfair preschool. Farmers and growers that serve the Farmington community frame a radius of more than 65 miles, traveling from places like Riga, Ray, Britton and Coloma — all Michigan farm communities. What our farmers share in common, the website states, is a fierce passion for being an independent Michigan farmer; holding the land close to their hearts, raising families and supporting communities. The South Lyon Farmers Market will held from 9 a.m. to 2 p.m. each Saturday from May 5 through Oct. 27, at 110 W. Liberty St. For more information, go to the market's website. The Plymouth Community Chamber of Commerce will once again bring the annual Farmers Community Market to downtown Plymouth. The 2018 market opens from 8 a.m. to 1 p.m. each Saturday from May 12 through Oct. 27, at The Gathering across from Kellogg Park. The market will be closed on Art in the Park and Plymouth Fall Festival weekends. The Birmingham Farmers Market runs 9 a.m. to 2 p.m. each Sunday through Oct. 28. The market can be found at 660 N. Old Woodward, Go to www.birminghamfarmersmarket.org to learn more. Tollgate Farm holds its weekly farm market 4:30-6:30 p.m. each Wednesday, May 30 to Oct. 10. Go to tollgate.msu.edu for more information. The Walled Lake Farmers Market runs 7 a.m. to 1 p.m. each Wednesday, May through October, at 1499 E. West Maple. The Redford Farmers Market, located at 15145 Beech Daly Road, is open from 10 a.m. to 3 p.m. each Sunday, June 18 to Oct. 22. Waterford. The market is open from 7 a.m. to 1:30 p.m. each Tuesday, Thursday and Saturday. Go to www.destinationoakland.com/countymarket for more information. Eastern Market, located at 2934 Russell Street in Detroit, is open year-round. Hours are 6 a.m. to 4 p.m. each Saturday, 10 a.m. to 4 p.m. each Sunday and 9 a.m. to 3 p.m. each Tuesday. Go to www.easternmarket.com for more information.